Collects Amazing Spider-Man #139-150; Peter Parker, The Spectacular Spider-Man (1976) #25-31, #149, #162-163 & Annual #8. Remember the good old days when Spidey's life wasn't very complicated? When evil scientists like the Jackal sought to destroy him? When Gwen Stacy showed up on his doorstep, suddenly alive? When a morning spin in the Spider-Mobile was interrupted by an attack from Mysterio? When Carrion sought to strangle the life out of him time and again? 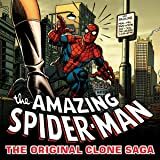 See the original clone saga unravel as Spider-Man tries to keep up! Collects Amazing Spider-Man #139-150; Peter Parker, The Spectacular Spider-Man (1976) #25-31, #149, #162-163 & Annual #8. 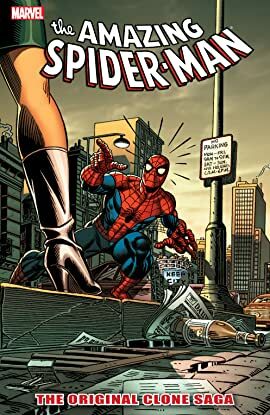 Remember the good old days when Spidey's life wasn't very complicated? When evil scientists like the Jackal sought to destroy him? When Gwen Stacy showed up on his doorstep, suddenly alive? When a morning spin in the Spider-Mobile was interrupted by an attack from Mysterio?